The booze and barbs flow in Shotgun’s stylized new take on Virginia Woolf. Read my review in the East Bay Times and Mercury News. 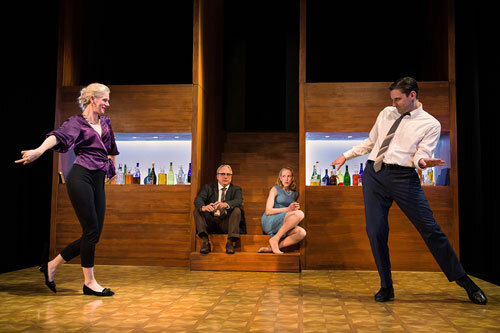 Beth Wilmurt, David Sinaiko, Megan Trout and Josh Schell in Shotgun Players’ Who’s Afraid of Virginia Woolf?. Photo by Jessica Palopoli. Show #124 of 2016, attended October 19.